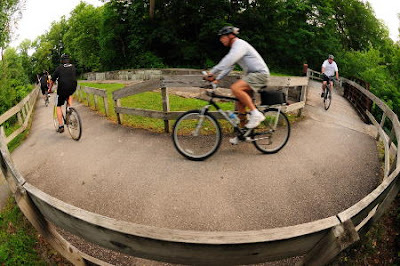 There's a Night Ride on the Towpath Trail scheduled for this Friday, August 28, 2009. As usual, the ride starts at 8:00pm at our Century Cycles store in Peninsula. After this one, only two more Night Rides are left for this season, on Saturday, September 19, and Friday, October 9. Click here for the full schedule and details. Who's going? This might be my last one. May try to make this one and ride the new Tsunami! :( I can't ride yet...still healing. I'll be there! I may even let you buy me a Left Hand Milk Stout afterwards!